Satellite companies are eagerly awaiting the arrival of new vehicles that will speed up launch and overhaul their process for creating new applications. Announcements from some heavy hitters in rocketry should provide hope for exponential progress in the next 10 years. New programs are producing a robust amount of architecture that will effectively put multiple clusters of small satellites into Low Earth Orbit (LEO) in the coming years. Companies continue to combine their operations to work in concert with new rocketry emerging that will clear the path for multiple missions that will affect growth of the smallsat industry moving forward. As the amount of debris in low Earth orbit continues to increase, experts at a recent conference called for both improved efforts to track debris as well as national legislation to mitigate that growth. Delegates at the Seventh European Conference on Space Debris, held at the European Space Operations Centre in Darmstadt, Germany, from April 18 to 21, warned that without improved measures, a long-feared cascade of debris that renders low Earth orbit useless could occur. According to Holger Krag, head of the European Space Agency’s Space Debris Office, only 60 percent of all missions currently end with a successful disposal of the satellite in line with orbital debris mitigation guidelines promulgated by the United Nations. Bolthouse, who heads up the company’s Collaborative Human Immersive Laboratory (CHIL), mentioned that it cost just $5 million to set up the lab back in 2010, and so the company has seen a significant (and continually increasing) return on its original investment. In a presentation April 19 to a microgravity research colloquium at the National Academies here, Gale Allen, acting chief scientist, said she had been warned at a recent agency meeting not to expect even increases to keep pace with inflation for the next five years. “We are looking to extend and to build new, strong and mutually beneficial ties,” Prince Guillaume told the audience gathered for a panel discussion and reception. The event, organized by Globalsat Chile, the local affiliate of the Globalsat Group, took place at the W Hotel Convention Center, where an interested audience was presented with the array of services which will be enabled by the new satellites. Representatives of the Chilean Navy, Directemar, SHOA, Army, emergency services and businesses were among the many attendees which learned about the evolution of the Iridium NEXT constellation and the new functionality that will be provided thanks to its full renovation. The United Launch Alliance Atlas 5 401 lifted off on schedule at 11:11 a.m. Eastern from Space Launch Complex 41 at Cape Canaveral, Florida, after a countdown free of any major issues. The Cygnus spacecraft separated from the Centaur upper stage 21 minutes after launch in low Earth orbit. Japan and Canada are making significant changes to how their national space agencies operate, while Australia is examining whether there is a need for national space agency at all. Speakers from each had time to dig deeper into their respective countries’ space industry plans during the 33rd Space Symposium last week in Colorado Springs, Colorado. Malaysia Air, which lost a wide-body jet with 239 people aboard three years ago in one of history’s most enduring aviation mysteries, has become the first airline to sign an agreement for space-based flight tracking of its aircraft. The subsidiary of Malaysian Airline System Bhd reached a deal with Aireon LLC, SITAONAIR and FlightAware LLC to enable it to monitor the flight paths of its aircraft anywhere in the world including over the polar regions and the most remote oceans, according to an emailed press release from Aireon. At a press conference, NASA announced that its Cassini spacecraft, orbiting Saturn, had detected hydrogen gas in previously-discovered plumes emanating from the surface of the icy moon Enceladus. Scientists suspect that the moon has an ocean of liquid water beneath the surface that provides the source material for the plumes. Although the capabilities of our space assets continue to improve, the industry is constrained by what we are able to lift up into orbit. During the deep space exploration panel at the 33rd Space Symposium, the speakers concluded that the space industry needs larger, more powerful boosters to continue to progress. Panelists agreed that technologically we have evolved enough to do new things from Earth orbit, such as search for potentially habitable exoplanets, for example. Now, the biggest hurdle is bettering our launch capabilities to improve access to space. While the James Webb Telescope, scheduled to launch in October 2018, is the largest telescope ever built to date, astrophysicist and former NASA astronaut John Mace Grunsfeld said it still is somewhat limited in its ability to detect the elementary building blocks of life such as methane, water and carbon dioxide. “It’s an incredible machine but it’s not big enough to find out if we’re alone in the universe. An Earth 2.0 will be dimmer than the faintest galaxy in the Hubble deep field,” he said. NASA is investing in 22 early-stage technology proposals that have the potential to transform future human and robotic exploration missions, introduce new exploration capabilities, and significantly improve current approaches to building and operating aerospace systems. The 2017 NASA Innovative Advanced Concepts (NIAC) portfolio of Phase 1 concepts covers a range of innovations selected for their potential to revolutionize future space exploration. Phase 1 awards are valued at approximately $125,000, for nine months, to support initial definition and analysis of their concepts. If these basic feasibility studies are successful, awardees can apply for Phase 2 awards. 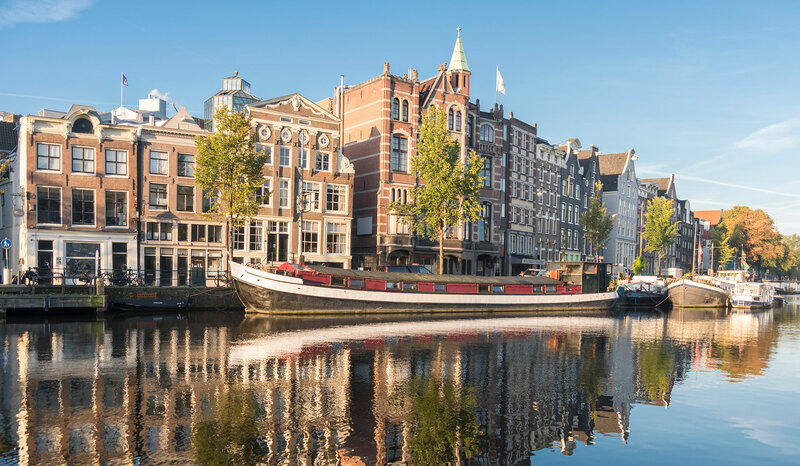 Actility, the European startup battling with rival Sigfox to connect things from fuel tanks to Amsterdam’s canals to the internet, has raised $75 million from investors in a bid to win business in the industrial sector. Private-equity firm Creadev SAS, industrial company Robert Bosch GmbH and satellite operator Inmarsat Plc are among new investors, Actility said in a statement Wednesday. They join existing financial backers including Ginko Ventures -- the European investment fund of Foxconn Technology Co. -- as well as investments by operators of wireless networks like Koninklijke KPN NV, Orange SA and Swisscom AG. Actility had previously raised $25 million in 2015. Globalstar announced that the University of Miami (UM) Rosenstiel School of Marine and Atmospheric Science will deploy 550 Spot Trace satellite trackers in its continued research expedition with the Consortium for Advanced Research on Transport of Hydrocarbon in the Environment (CARTHE), which is dedicated to forecasting the fate of oil dispersed into the environment to help inform and guide response teams. This research is an extension of an ongoing project that launched in 2012 after the BP oil spill to monitor how pollutants behave in normal and emergency conditions. The Italian Space Agency, or ASI, considered launching the first of the two second-generation Cosmo-SkyMed surveillance satellites on a SpaceX Falcon 9 rocket from Vandenberg Air Force Base in California, but officials ultimately elected to book the launch on a Europeanized version of Russia’s Soyuz rocket next year, ASI announced this week. Paradigm’s unique flat panel Swarm45 terminal can now add full worldwide coverage on Inmarsat Global Xpress (GX) to its impressive list of features; a list that includes it being the first GX terminal that can be packed as carry-on baggage on board commercial aircrafts. In use on multiple platforms and missions today, Global Xpress complements military satellite communications and delivers a highly reliable commercial Ka-band network that meets mobile, on-demand communication needs worldwide. Inmarsat recently granted Type Approval for the Swarm45 terminal as it enhances portability and ease of use of the GX service by offering fast setup and pointing. During successful demonstrations in multiple user scenarios, U.S. government end users were connected in under five minutes, anywhere in the world without requiring specific region configurations or set up procedures. If NASA’s human spaceflight program is redirected back to the Moon, Blue Origin is ready to support it with its proposed “Blue Moon” lunar lander system, company president Robert Meyerson said April 5. The Swedish Space Corporation (SSC) and BridgeSat announced a long-term partnership under which BridgeSat will install satellite optical communications equipment at a number of SSC’s established Radio Frequency (RF) ground sites. SSC owns and operates a global network of ground stations to provide secure and reliable access to satellites seeking RF services. BridgeSat is developing a global optical communications network that will offer secure delivery of data from Low Earth Orbit (LEO) satellites at fast speeds and low cost. The partnership creates incentives for the two companies to cooperate commercially for the benefit of their customers in leveraging their respective capabilities in optical and RF satellite communication solutions. During the Space Foundation’s luncheon honoring Piers Sellers, speakers lauded the former astronaut for his tireless work to draw attention to Earth’s changing climate and to seek technological solutions to limit mankind’s impact on the planet. James Ellis, a retired U.S. Navy admiral and chairman of the Space Foundation’s Board of Directors, honored Sellers posthumously with the General James E. Hill Lifetime Space Achievement Award. Sellers, a British-born climate scientist and veteran of three space shuttle missions, served as acting director of the NASA Goddard Space Flight Center’s Earth Sciences Division and deputy director of its Goddard Sciences and Exploration Directorate. He died of pancreatic cancer in December 2016. 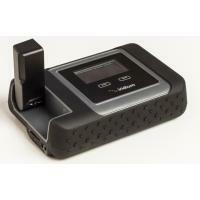 Globalstar announced it will launch a new compression service for the satellite industry. The effort will include rolling out compression services developed by Yippy to Globalstar’s subscribers as well as providing this technology to other Mobile Satellite Service (MSS) providers and Fixed-Satellite Service (FSS) operators. Yippy’s compression technology platform serves to significantly decrease load times for internet data sessions and document retrieval services from corporate intranets. The technology allows web page content to load in seconds as opposed to minutes with many satellite devices. Using the Yippy Ease 360 platform, the service enables faster download and upload speeds while maintaining a secure connection and reducing critical overhead on satellite networks. Blue Origin founder Jeff Bezos said April 5 that his company was still hoping to start flying people on suborbital space tourism flights by the end of next year, while suggesting crewed test flights will not start this year as previously planned. Bezos, speaking in front of the company’s exhibit at the 33rd Space Symposium here that features the New Shepard propulsion module that flew five suborbital spaceflights in 2015 and 2016, backed away from earlier statements that called for flying people on test flights later this year. Honeywell announced a new satellite-based connected solution to help governments, companies and other organizations monitor the location and safety of workers in remote locations. 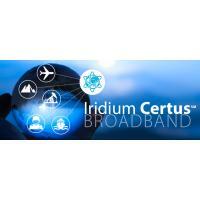 The Personal Tracker uses Iridium’s Low Earth Orbit (LEO) satellite network to allow companies to communicate with their workers or track assets anywhere in the world — across oceans, airways and even polar regions. Emergency services, maritime, military, and oil and gas workers can share their location with Global Positioning System (GPS) coordinates and send text messages using the device, which is certified to function in hazardous environments where explosions or a fire may occur due to flammable liquids or vapors. 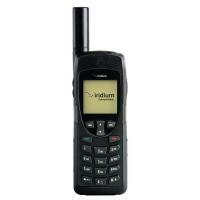 It can be used as a stand-alone, two-way communications device or can be clipped to a backpack to serve as a tracking beacon. Users can also pair the device with an iPhone to access the Honeywell mobile app that offers features such as interactive SOS, messaging, push notifications, trip information and situational awareness. Gwynne Shotwell, president and chief operating officer of SpaceX, hopes to see a future where more women are engaged in the space industry. During her speech on the 33rd Space Symposium stage, Shotwell shared a quote from former U.S. representative Bella Abzug, which stated, “Our struggle today is not to have a female Einstein get appointed as an assistant professor. It is for a woman schlemiel to get as quickly promoted as a male schlemiel.” For Shotwell, Abzug’s words still ring true decades later. During an April 4 panel session during the 33rd Space Symposium that featured representatives from 15 agencies, many expressed support for going to Mars only after building up experience at the moon first. 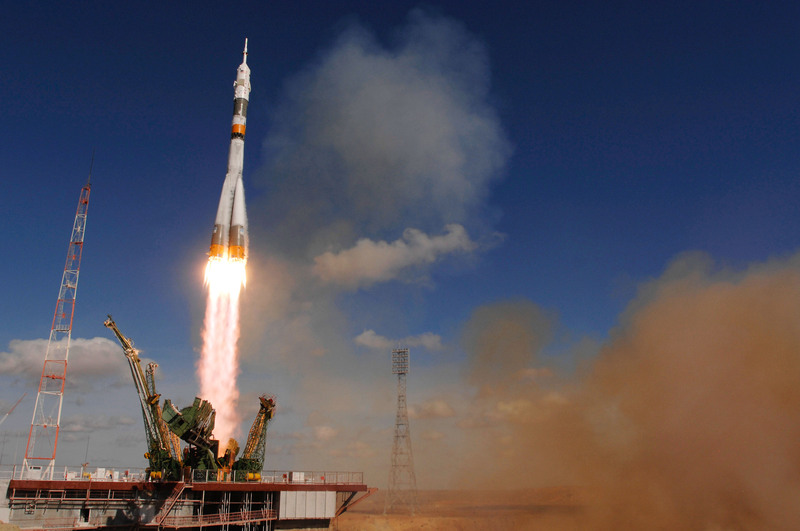 Rocket reusability, Earth observation and big data promise to be hot topics at the 33rd Space Symposium, taking place in Colorado Springs, Colorado this week. Commercial Spaceflight Federation (CSF) President Eric Stallmer told Via Satellite’s sister publication Defense Daily Monday the aspects of Reusability — feasibility, practicality and how it will happen — will be the big talking point at the conference this year. Stallmer said the success of SpaceX successfully launching a used first stage booster last week and Blue Origin’s mammoth used New Shepard rocket on display outside the exhibit hall here demonstrate the prominence of reusability among top industry officials. 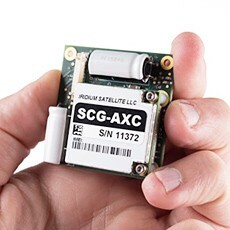 Iridium satcom specialist Rock Seven is introducing the worlds’ smallest plug & play two-way satellite communications system with integrated antenna. RockBLOCK 9603 is an even smaller variant of the sophisticated RockBLOCK MK II Internet of Things (IoT) satellite communication technology platform, which already provides Machine-to-Machine (M2M) data communication over Iridium’s global satellite network for thousands of professional users at sea and on land. Launchspace Technologies’ patented plan to clean up debris calls for sending Debris Collection Units into equatorial orbit to capture debris ranging in size from 1 millimeter to five centimeters. That debris poses a serious problem for government and commercial satellite operators because it remains largely untracked and unavoidable, said Marshall Kaplan, chief technology officer for Launchspace Technologies of Bethesda, Maryland. Aerojet Rocketdyne has successfully hot-fire tested a full-scale, additively manufactured thrust chamber assembly for the RL10 rocket engine that was built from a copper alloy using Selective Laser Melting (SLM) technology, often referred to as 3-D printing. The Defense Production Act Title III program management office located at Wright-Patterson Air Force Base near Dayton, Ohio, enabled this recent testing. Aeroject Rocketdyne has been working over the last decade to incorporate SLM technology into the RL10 and other propulsion systems to make them more affordable while taking advantage of the inherent design and performance capabilities made possible by 3-D printing. Satellites operator Inmarsat Plc (LON:ISAT) said its Inmarsat Government subsidiary has been selected by US telecoms giant AT&T Inc (NYSE: T) as a core team member for the US FirstNet emergency services network. The FTSE 250-listed firm said Inmarsat Government will work with AT&T to deliver satellite communication solutions as part of the network. FirstNet, the shortened name for the First Responder Network Authority is an independent agency under the US Department of Commerce. The NASA team studying a lander mission to Jupiter’s moon Europa says their work is continuing even though the White House is requesting no funding for the mission in its latest budget. 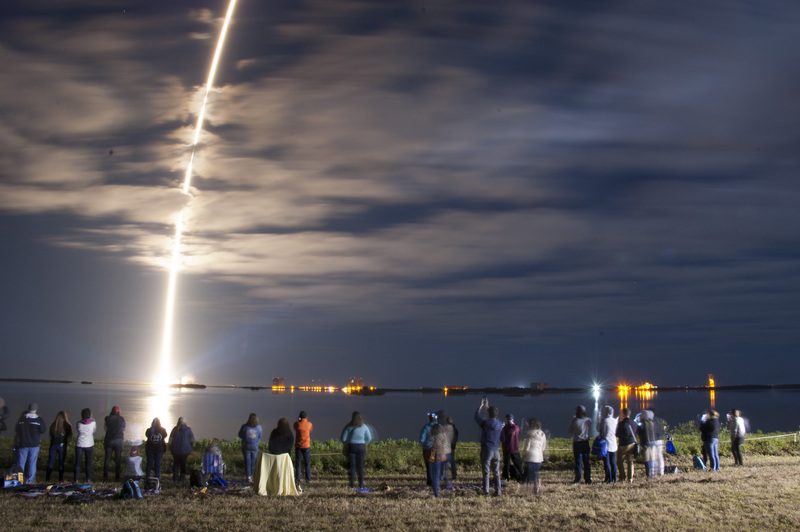 SpaceX has completed the first reusable orbital launch since the retirement of the U.S. space shuttle, delivering the SES-10 telecommunications satellite into geostationary transfer orbit with a rocket that first flew last April for NASA. SpaceX launched the Falcon 9 at 6:27 p.m. Eastern from Launch Complex 39A at Kennedy Space Center, achieving a historic milestone for the company that hung its cape on the claim that rockets can be re-flown, and that reusability is necessary to take humanity to Mars. Lockheed Martin has introduced iSpace — intelligent Space — to provide defense, civil, commercial, and international customers with sensor data processing, space domain awareness, command and control, and battle management capabilities to protect their assets and missions in space. 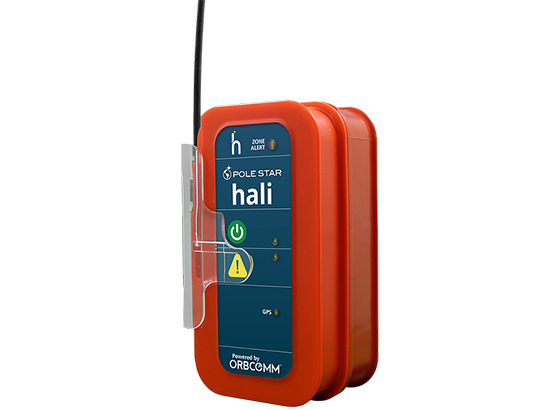 Orbcomm announced that it has collaborated with Pole Star and Weatherdock to develop Hali, a Class B tri-mode vessel tracking solution that ensures complete vessel visibility. Hali combines terrestrial and satellite Automatic Identification System (AIS) data capability with two-way satellite machine-to-machine (M2M) technology to deliver vessel location data to small craft and fleet owners and operators, maritime authorities and enforcement agencies, providing the actionable intelligence required to maximize maritime safety, security and environmental compliance. When Elon Musk announced plans last month that SpaceX wants to send two people on a commercial mission around the moon as soon as late 2018, it was a surprise, but also hardly unique. Musk, in a conference call with reporters Feb. 27, said that SpaceX had been approached by two individuals interested flying around the moon. SpaceX has proposed flying them on a version of its Dragon 2 spacecraft under development, launched on a Falcon Heavy. The mission would launch in the fourth quarter of 2018, pending the development schedules of both the rocket and the spacecraft. During a Mountain View, California, forum this week organized by the United Nations Office for the Coordination of Humanitarian Affairs (OCHA), SES showcased some of its solutions geared toward humanitarian and disaster relief efforts. The company’s solutions are designed to help restore essential communication links, ensuring immediate coverage via capacity reserved for relief efforts and support for multiple end-to-end humanitarian services. 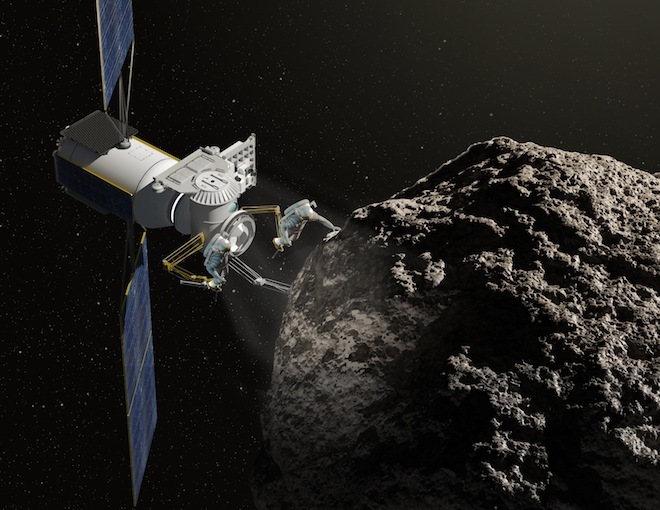 Plans to continue a NASA mission to intercept a small asteroid will depend on a decision due by the end of April on NASA’s 2017 budget, an agency official said March 20. In an interview after a town hall meeting at the Lunar and Planetary Science Conference here, Jim Green, director of NASA’s planetary science division, said a decision about whether to proceed with the Double Asteroid Redirection Test (DART) mission will depend on funding by and direction from Congress. PacSci EMC announced the release of its new Modular Architecture Propulsion System (MAPS) for the small satellite market. According to the company, the compact design of MAPS reduces cost of integrating the propulsion system with the satellite and launch vehicle, and shortens the time from fabrication and testing to integration on the launch vehicle by up to 78 percent. The Multi-Purpose Laboratory Module, also known as Nauka, was originally set to be added to the ISS in 2007, but has been grounded by a variety of issues, including contamination of its propulsion system. Technicians have found more contamination in its main propellant tanks recently, which were built in the early 1990s and cannot be easily replaced. The European Space Agency completed the preliminary design review for the Jupiter Icy Moon Explorer, giving a go-ahead to prime contractor Airbus and its partners to start building a prototype spacecraft to test systems for the challenging mission known simply as Juice. The 1.5 billion-euro ($1.62 billion) mission — expected to launch on its seven-year journey in 2022 — is Europe’s first shot at exploring the solar system’s largest planet and its moons at close quarters. Giuseppe Sarri, ESA’s Juice project manager, said the 22-member space agency has never attempted a mission of this difficulty and complexity. Rocket Lab announced closing a Series D financing round of $75 million. Data Collective led the round, with additional investment from Promus Ventures and an undisclosed investor, and with renewed participation from Bessemer Venture Partners, Khosla Ventures and K1W1. The closure of the round brings the total funding Rocket Lab has received to date to $148 million, with the company now valued in excess of $1 billion. “The funding will enable us to scale up production of Electron to meet the continued high demand we’re seeing from the growing small satellite industry,” said Rocket Lab Chief Executive Officer and Founder Peter Beck.